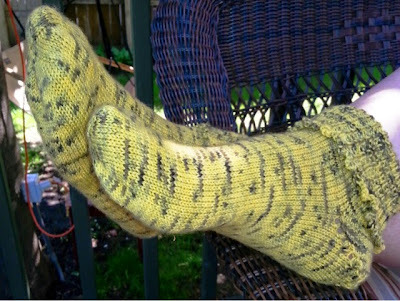 Mary Jane Socks + ModeKnits yarn= Fabulous! 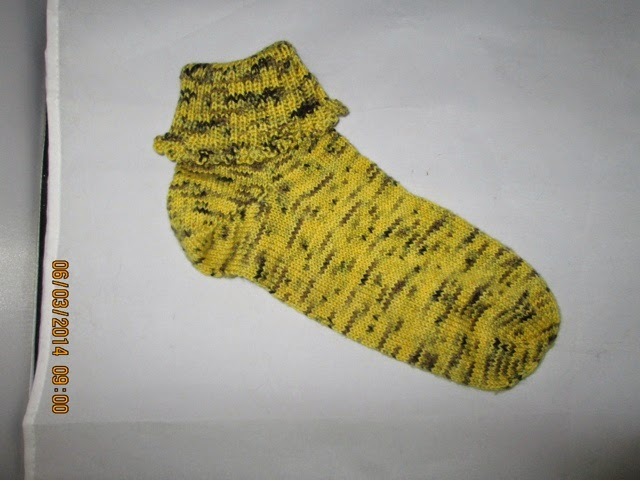 It might be hard to believe, but in Winnipeg, one can wear wool socks this time of year. Today, for instance, we were wearing cardigans outside...a high of about 65F. (17C) This is a great excuse to post about a collaboration about which I am excited. ModeKnit Yarn is a brand new yarn company, producing hand-dyed yarns in really artistic colorways. Annie Modesitt, a longtime knitwear designer, is the dyer extraordinaire, so the yarns are truly something to see. These folks kindly provided my friend Deb with some of their yarn so she could knit up my pattern for Mary Jane Socks. This is the result! What I love most about it? 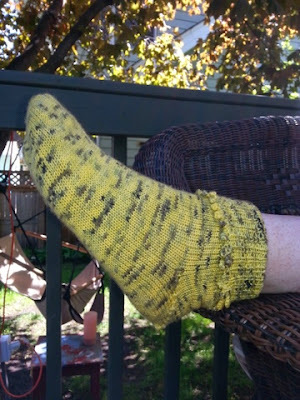 It is a colorway I could not have imagined and a dyeing, knitting and designing collaboration that went right across international boundaries and many years. Deb is a friend I made at a special spinning guild, still in existence, in North Carolina. I left North Carolina in 2002, but some of those folks are still in touch with me. This project gave me the chance to connect with Deb a bit more often....and a whole new way of seeing one of my patterns from my book, Fiber Gathering. All good. :) Enjoy the photos--they remind me of kicking back on a sunny cool day like today.